Team Penske flexed its muscles with three minutes remaining in the second practice for Daytona 500 pole qualifying. Ryan Blaney (195.797 mph) bumped Kurt Busch from the top position but moments later, Joey Logano (195.933 mph) and Brad Keselowski (195.848 mph) took over the top two positions in practice. “We had a plan,” Blaney told Motorsport.com. “That’s what we usually do. Brad, Joey and I figure out how we can run together — a little three-car — to see how they draft up. You can’t tell much but you can see where you’re at and where they’re loaded down with extra drafting help. That was kind of the plan, to line up there at the end. Edwards (193.986 mph) and Greg Biffle (193.907 mph) completed the top 10. Dale Earnhardt Jr. (193.823 mph), Casey Mears (193.723 mph), Jimmie Johnson (193.519 mph), Ricky Stenhouse Jr. (193.473 mph) and Austin Dillon rounded out the top 15. No driver ran 10 consecutive laps during the second practice. For the second consecutive session, Ryan Blaney led the open teams. Matt DiBenedetto was second in 27th-place with a lap of 192.086 mph. Only 42 of the 44 Daytona 500 entrants participated in second practice. 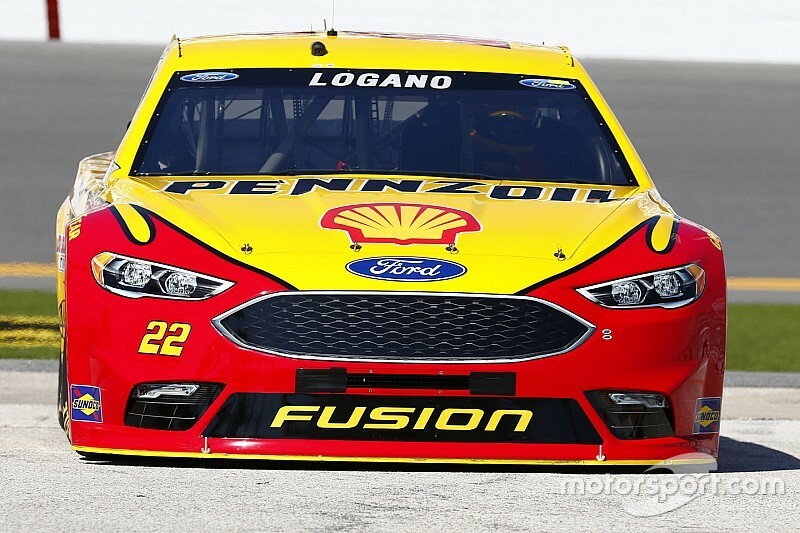 Logano’s 29 laps were the most logged during the session.